Es gibt durchaus schlechteres mit dem Strickmuster, 4* sind hier auch für mich vertretbar. 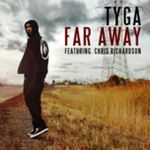 Tyga's best for sure! Probably because he doesn't swear and one of his songs finally has meaning for once! The song is alright but this Chris Richardson person is awful. Could he look and try to be any more like Ryan Tedder? This may be another one of those dull as whatever songs, but wow it's listenable!